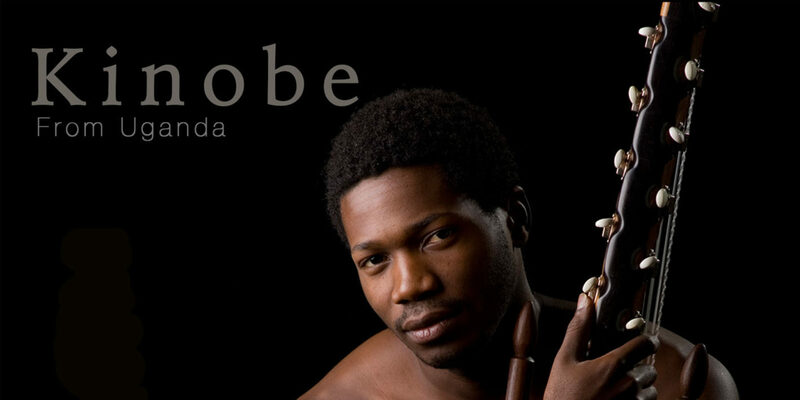 Kinobe is an artist at the cutting edge of contemporary traditional music from Africa. Born in Uganda, now living in the United States, Kinobe has done something rare. In addition to mastering the Baganda traditional arts he grew up with, like playing the deep-toned buzzy endongo lyre and the endingidi one-string fiddle, he has gone beyond ethnic and national boundaries to study a wide range of traditions. Kinobe first heard the Mande kora in a concert by Baaba Maal in the Netherlands in 1995, and a few years later he arrived in Bamako, speaking no French or Bambara, but determined to learn to play this unusual harp, which he had fallen in love with. Toumani Diabaté told Kinobe that no Anglo-African had ever come to study with him and his legendary family. Not only did Kinobe come, but he returned, multiple times to learn ngoni, balafon and tama (talking drum), as well as kora. And he is now considered a part of the Diabaté family. On his second solo album, Kinobe plays all these instruments and also the akogo, a member of the kalimba/mbira family of instruments from eastern Uganda, and the adungu a harp from the country’s north. Over the course of 19 tracks, Kinobe constructs meditative, deeply engaging songs, sometimes featuring a single instrument and his soft, clear voice, and sometimes creating beautiful juxtapositions. Beyond the musical innovations, Kinobe proves himself a soulful songwriter, singing solo and in harmony in multiple languages, including English, and addressing topics of profound importance to Africans and all who care about Africa. “After the War” blends the metallic plink of akogo with the wooden tones of balafon in a lively groove over which Kinobe’s vocal evokes the simple but poignant aspirations of a person returning home after a war in hope of recovering his old life. “Beautiful Africa” creates a similarly beguiling blend of kora and adungu. Here as on many of these tracks, the music unfolds over a warm pulse drum, mixed way back, and a repeating bass line sung by Kinobe--shades of Bobby McFerrin and Vocal Sampling of Cuba. Kinobe’s approach to vocal harmony recalls the warm, polished approach of Congolese innovator Lokua Kanza. “Okuva lwewagenda,” a lament to the lost pleasures of childhood, combines a funky akogo riff with vocal bass and more urgent vocals, including harmonies. But that’s about as strident as things get. Kinobe is a master of the animated but understated groove—created entirely with indigenous African instruments. For all the tonalities and influences at play here, these songs are never cluttered or forced. On The Voice Within, Kinobe forges welcome new ground in African roots music. 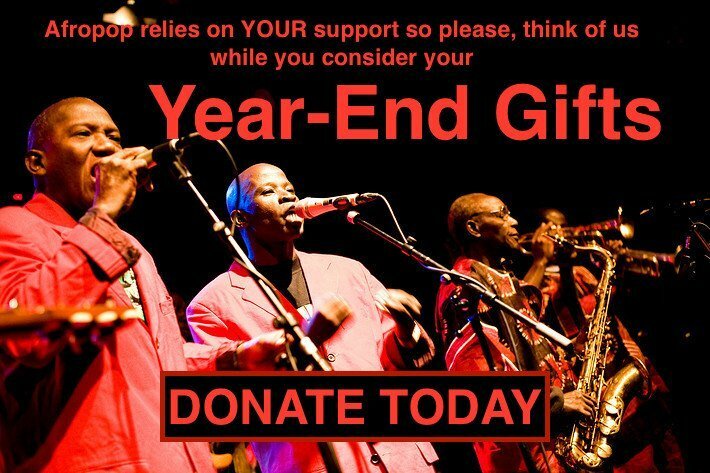 It is a gem of acoustic music and a gently powerful statement of pan-Africanism.